WKU’s Board of Regents approved the creation of a Center for Excellence in Teaching & Learning and five new degree programs. 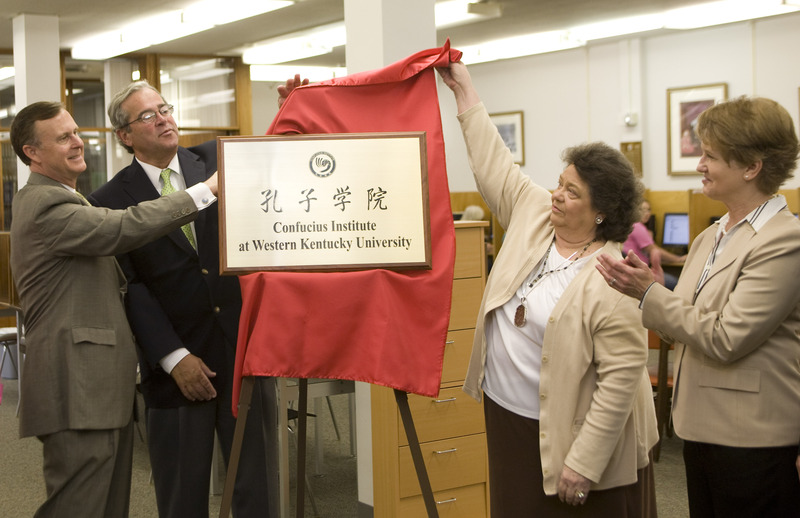 The Center is a partnership between WKU and Green River Regional Education Cooperative and will be housed at WKU. It will serve the needs of area schools and enhance student learning in elementary and secondary schools and strengthen preparation and in-service programs for classroom teachers, school and district leaders and other school personnel. The Board also approved new bachelor’s degrees in art history, film, Asian religions and cultures and organizational leadership and an associate’s degree in water resource management. *Approved an employment contract with Ross Bjork, director of athletics. Bjork, who replaces Dr. Wood Selig, begins April 26. *Approved appointment of Dr. Burch as provost emeriti. Dr. Burch returns to teaching June 30. *Approved the naming of College High Hall, formerly known as Science and Technology Hall. The former training school has been renovated and now houses the Math Department and office for the dean of the Ogden College of Science and Engineering. There will be a dedication ceremony at 10 a.m. May 8. * Approved the naming of the Chandler Memorial Chapel and several areas in and around it. The Chapel will be dedicated at 2 p.m. May 7. *Heard a report from President Gary Ransdell about the state and university budgets. Dr. Ransdell said that if a state budget is not passed, WKU and all other state universities will have to shut down July 1. While he said that is not likely to happen, the lack of a state budget makes it difficult for the university to develop a budget. “There are lots of variables in play here,” he said.